I want to share a little story of personal challenge that I think might resonate with you. We have probably heard our whole lives how winners never quit and quitters never win. That we should never give up. That we should FOCUS- Follow One Course Until Success. That we can do it and that we just have stay the course. Live your passion and chase your dreams. However, sometimes we have to pick our nose off the grindstone and look around. Have our dreams changed? Do we still really want to get where we started going years ago? How do we know if we are going after something we either truly do not want anymore or is just never going to work? How do we know if we are letting our fears overpower our dreams? Only you can make the decision of whether you are heading in the right direction. And only you can recognize that you may have given up a course of action for the wrong reason. Again, you are not alone. Out here in the real world of self-employment, entrepreneurship and decision-making, is a colorful landscape of risk. I’d love to say with authority that there is one thing we should each be doing with our lives. That each of us has one calling. That we are each drawn to one purpose. I’d like to, but that’s silly-talk. I can’t speak to your particular goals, priorities and passions, but I can tell you that I have more than one. I can sometimes find a common thread between everything I have an interest in at any given time, but not always. I just have to be okay with that. I also have to accept the fact that sometimes I’ll chase a dream I no longer have and waste some time, and sometimes I’ll give up a goal too quickly and convince myself that it was doomed anyway. That’s life as a decision maker. That’s the risk we take each day. Would love to hear from fellow self-employed entrepreneurs, particularly horse people. Share your own story of quitting for success. 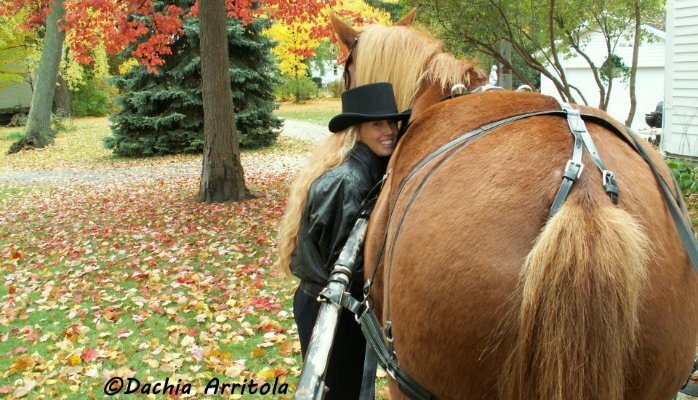 If you are a Professional Horseman in the Business of Natural Horses, join us on Facebook.